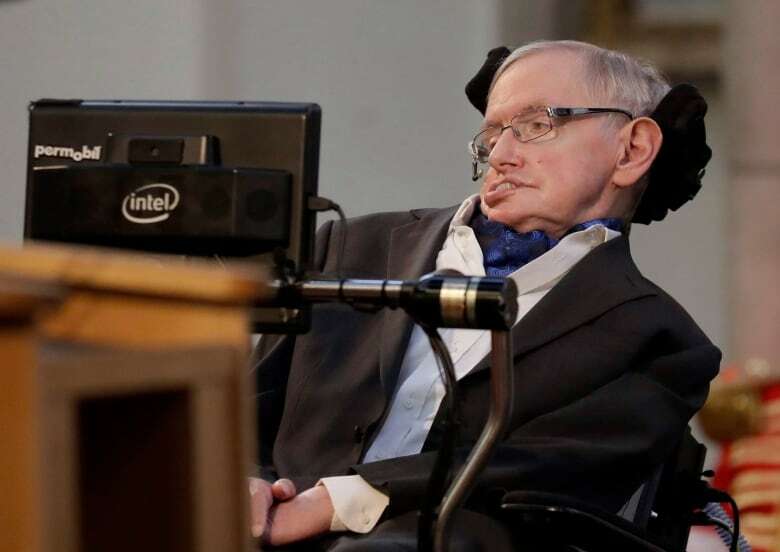 Famed for his work exploring the origins of the universe, Hawking died in March at the age of 76 after spending most of his life confined to a wheelchair by motor neurone disease, also known as amyotrophic lateral sclerosis. 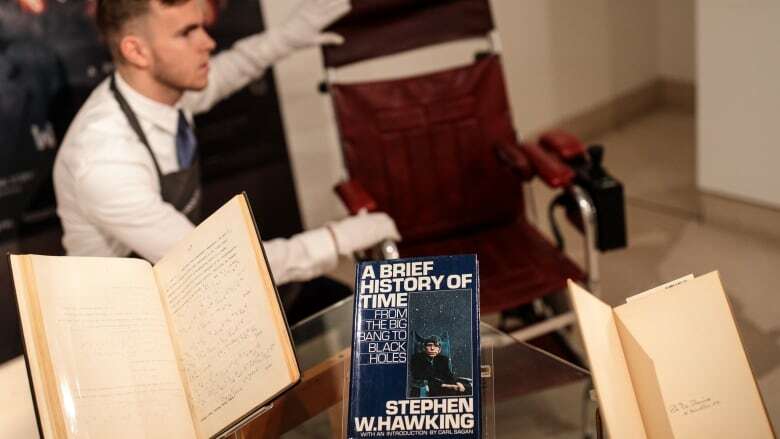 Some of his belongings including essays, medals, awards and a copy of his book A Brief History of Time signed with a thumbprint were sold online on Thursday alongside letters and manuscripts belonging to Isaac Newton, Charles Darwin and Albert Einstein. Hawking's 117-page dissertation "Properties of expanding universes" from 1965 sold for £584,750 (more than $1 million Cdn) well ahead of the estimate. Auction house Christie's ran the nine-day online auction called "On the Shoulders of Giants" to raise money for the Stephen Hawking Foundation and the Motor Neurone Disease Association.